A little peek at some of the cards I made for a card-making workshop I'm teaching at the weekend at The Crafty Alley Shop in Killarney. We'll be making some Valentine's cards, some pretty ones and a masculine one!! I'll also be giving some tips on how to make your own wedding invitations. 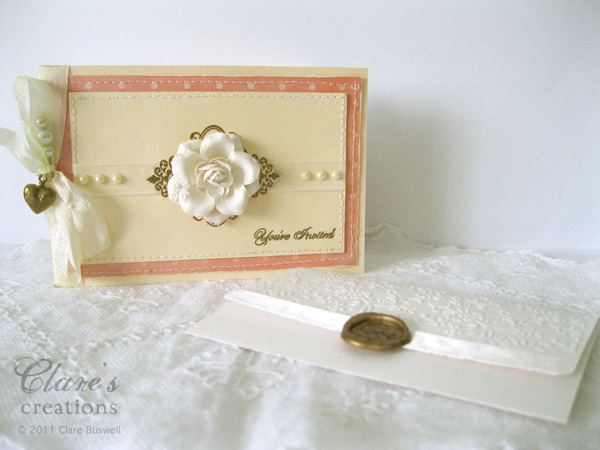 Fancy ones and more simple invitations too. I'm looking forward to it, should be fun!! Have a great time at the workshop - these cards are wonderful! 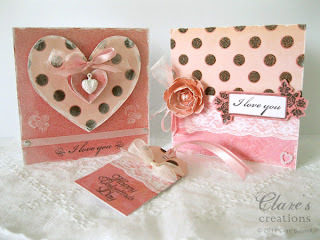 Love the masculine Valentine card! Now I know where you've been...and very busy by the looks of these lovelies. 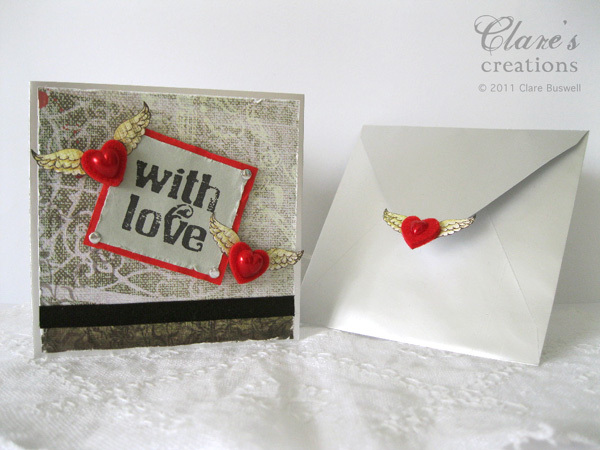 Beautiful cards, Clare! Wish I could be at your workshop. Wish I could be attending this! But just a tad too far for me to travel. Love the cards shown. Have fun! Just gorgeous - yet again (smile) the cards are lovely, as is that gorgeous invitation. So so beautiful!!! Looking forward to meeting you again on Saturday and attempting these gorgeous cards.